Need to sell first? Find out how much your property is worth by getting a free no obligation current market appraisal. To request an appraisal click on the appraisal request button on the right of the screen. Pre-approved finance can be organised through your bank or mortgage broker. This means that the bank will advise you the maximum figure you are able to loan whether you require the full amount or not. Having pre-approved finance puts you in a better negotiating position enabling you to put an unconditional offer on a property and to bid at Auction with confidence. Before purchasing a property, we recommend to seek legal advice from your solicitor. A Solicitor will provide independent advice on a LIM report, title or may want to write clauses to be included in a sale and purchase agreement for your protection. By choosing a local solicitor you call on their extensive knowledge of the district plan and avoid any pitfalls which may only be known from living within the region. When selecting a solicitor, you may want to seek advice from family or friends, otherwise contact the New Zealand Law Society. The internet has changed the way people search for property, instead of trawling through newspapers and real estate magazines buyers now have the ease of looking at properties online allowing you to narrow down property which suits your requirements and budget. 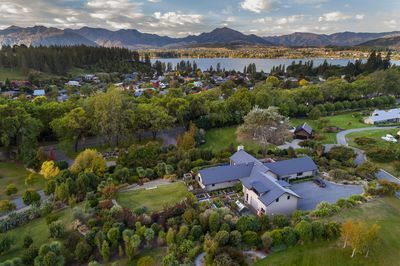 A great way is to contact us at Prime Wanaka Real Estate and outline your requirements as we may find a property you have overlooked or maybe working on a suitable property in the background. We often sell property before it is marketed. To request new properties to be emailed to you as they are listed, click on the Hot Property Alerts button on the right of the screen. Once you have shortlisted a series of properties you are interested in, the next step is to arrange a viewing. Viewings are essential to get a feeling if the neighbourhood, type of property, layout and overall condition of the particular property is right for you. Viewing can be conducted either via open homes, which commonly occur on weekends, or by private appointment. It is a good idea to give the house you are interested in the once over. 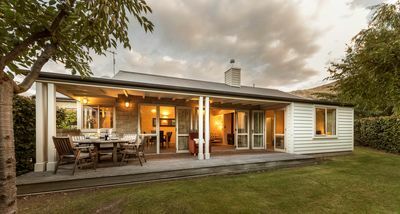 Here is a link to a comprehensive property check list provided by realestate.co.nz. Specialist reports, such as a Land Information Memorandum (LIM), Builders and Engineers reports are also commonly requested and may delete any concerns you may have with a property. You’ve found a home you’re interested in – now it’s time to make an offer. Outlined below is the difference between an Unconditional and Conditional offer. Unconditional – When the price is agreed to by both parties and there are no conditions attached to the offer, this becomes a binding contract. If you are confident that you have fully researched the property and in a position to pay for it, then making an unconditional offer to purchase is an option, however we recommend that you consult your lawyer first. Unconditional offers are much more appealing to the seller as this generally enables them to move forward with their particular plans with reassurance they have sold their property. Sellers of property are generally more flexible on their selling price when an unconditional offer is tabled to them. Conditional – When an offer to purchase a property has conditions attached, for example, arranging finance or being satisfied with a building report or LIM report. If you are buying at auction or making a pre-auction offer, your offer must be Unconditional. Once your offer is accepted by the seller it becomes a contract and dated which activates the countdown of days to satisfy any conditions. A copy of the contract is then sent to your solicitor. It is important that tradespeople or consultants employed to report on the property know the time frame you are working within so they can report back and enable you enough time to process the information to meet the deadline. Once you are satisfied with the conditions of your contract your solicitor confirms the contract with the sellers solicitor. Settlement day is the day you take possession of your new property. This is generally a very busy time for buyers as many people are in a chain of property transactions which creates everyone wanting to access their new properties at the same time with their removal trucks waiting at the gate. The keys to the property cannot be handed over to the new owner until the real estate agent has had written authority from the sellers solicitor. There may be delays in time between the buyers solicitor advising the sellers solicitor that the transfer of funds has taken place and the sellers solicitor advising the real estate agent of the funds being received and to release the keys. This time is very frustrating especially when the buyer is paying for a truck and removal people to sit idle outside the empty property waiting for keys. To avoid this it is important that the buyer advise their solicitor and the real estate agent when the keys are required to make this process as smooth as possible.